The Glaswegian electro-pop group are causing such a stir at the moment, it's hard to believe this is only their third release following Lies and The Mother We Share. It doesn't quite live up to the last release, but in a roundabout way that's a huge compliment when their overall output is so damn good. 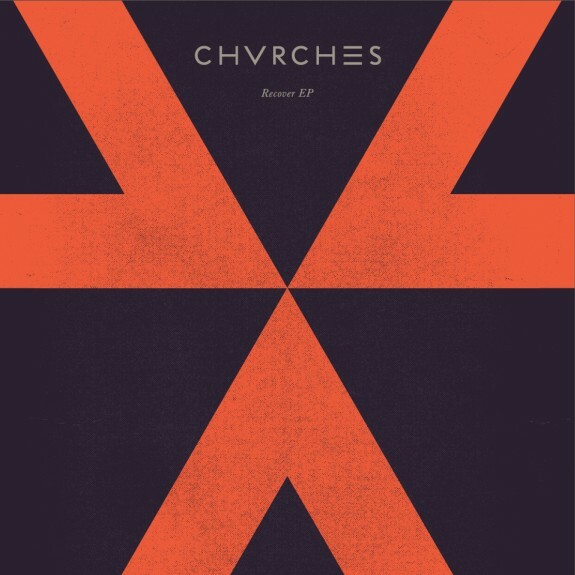 I mean, more music from CHVRCHES is never a bad thing. An album is in the works, but until then we have the full 'Recover' EP from March to tied us over (pictured), from which Recover is, funnily enough, the lead single. This is sublime electro-pop: fizzing with synth hooks, girlish vocal melodies and lyrics tinged with sadness. "If I recover, will you be my comfort? ", asks singer Laura Mayberry with heartbreaking fragility. If anything, CHVRCHES offer comfort to any pop fans disenchanted by the current charts. Listen: Recover is available now, with the full EP released on 25th March.